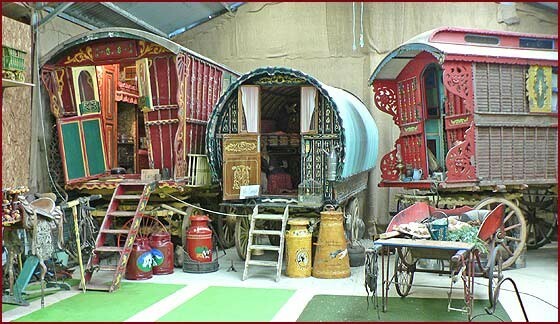 The Gypsy people, or Romani, traveled from place to place working as tinkers, metalworkers, horse traders, fortune tellers, and entertainers. As their way of living and transportation evolved, they began to switch from tents to wagons. 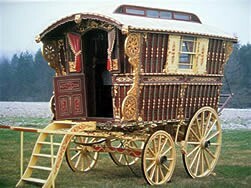 The caravan, or Vardo, was a finely decorated, carved, and painted one-room wagon. "Inside the wagon the atmosphere is snug and homely, and the finer vans have an almost regal splendor. Almost everything one needs is to hand. Even in winter you need never be cold. The fire in the stove, if built up with windows closed for half an hour, will so heat the rails near the roof that they will be too hot to hold." ©From The English Gypsy Caravan by C.H. Ward-Jackson & Denis E.
This called for an equally eye-catching but strong horse to pull it. This horse was also needed to be hardy to survive the harsh winters without shelter and survive on what can be found when grazing along the roadside. Gypsies are credited with creating the breed we now know as the Gypsy Vanner Horse, a breed which went largely unnoticed until the 1990s. 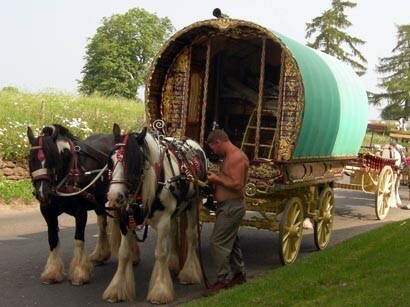 In 1996 two Americans, Dennis and Cindy Thompson, discovered one of these gorgeous horses while visiting England. The adventure that followed led to the recognition of the breed and its subsequent introduction to the United States. 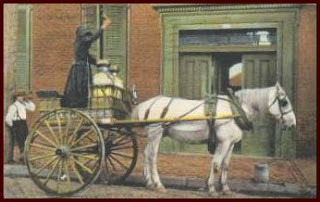 The Thompsons also founded the Gypsy Vanner Horse society. 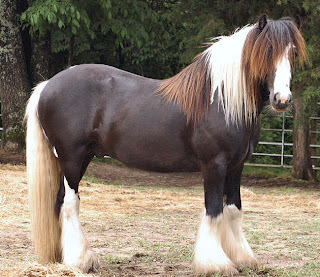 All breeds have a history and the people that bred these magnificent horses prided themselves in passing down the bloodline information from generation to generation.The Gypsy Vanner is thought to be a mix of The Shire, Clydesdale, Dales Pony and Friesian. 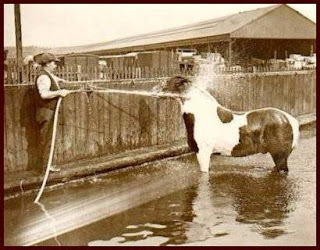 "So to be able to pull all this, their horses had to have solid, weighty bodies, huge bone, thick necks, wide chests and a great layback of shoulder. They had to have strong legs and large feet. They had to be unflappable in any situation and absolutely solid and reliable in their interaction with humans, including children. They had to be tough enough to exist in the harshest of weather and often on meagre food sources. 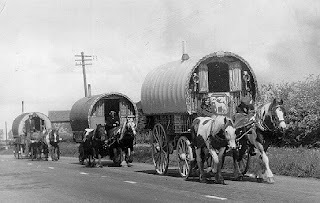 They had to be able to pull a caravan all day if necessary covering sometimes 40 miles or more on hard roads or muddy lanes. They had to have a willing work ethic and always do what was required of them. 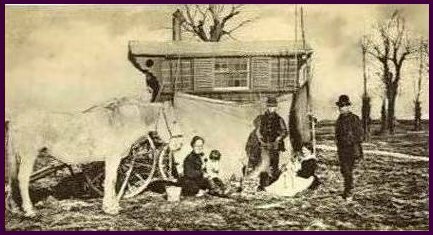 In the past, most existed on what was found growing along country roads when the family camped for the night, so they had to be what we refer to today, as easy keepers"- Original Source Unknown. Horses that were not up-to-par were sold or traded. 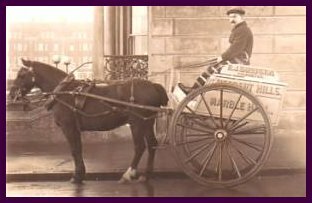 Some became workers in cities for the rest of their lives. 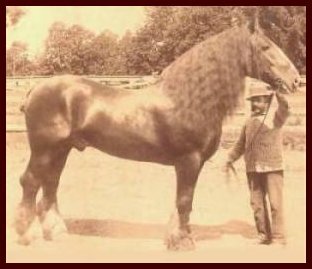 Brooklyn Supreme was a purebred Belgian Stallion who stood 19.2 tall and weighed in at over 3,200 pounds (or so they say). 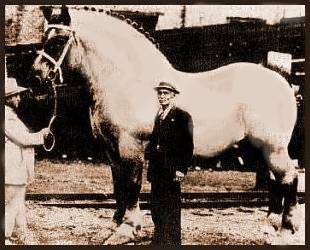 He was foaled in Iowa in 1928 and died in 1948.